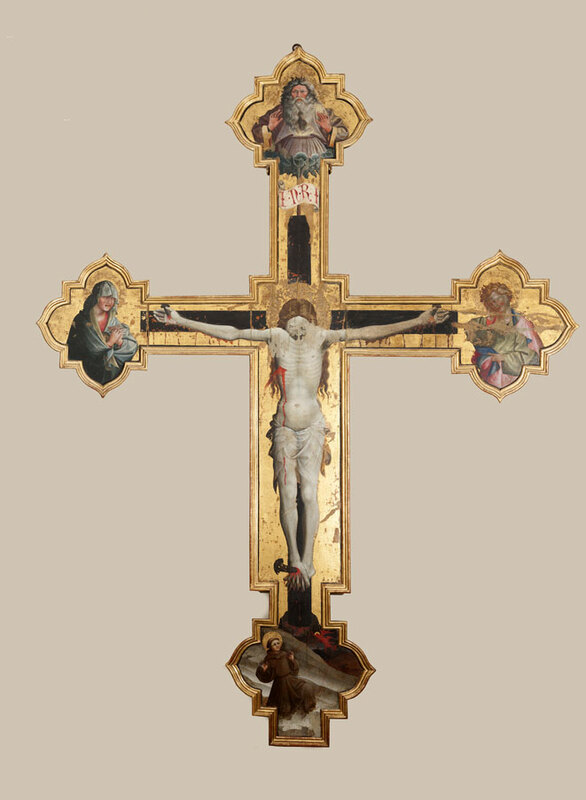 On top of this shaped cross with a gold background, there is the Eternal Father, and at the ends of the horizontal arm we see, respectively to the right of Christ, the Virgin Mary of Sorrows and to the left John the Evangelist. The traditional pattern of placing the Virgin Mary, symbol of the Church, always to the right of the Son, and of the Apostle John the Evangelist, to the left, is respected here. 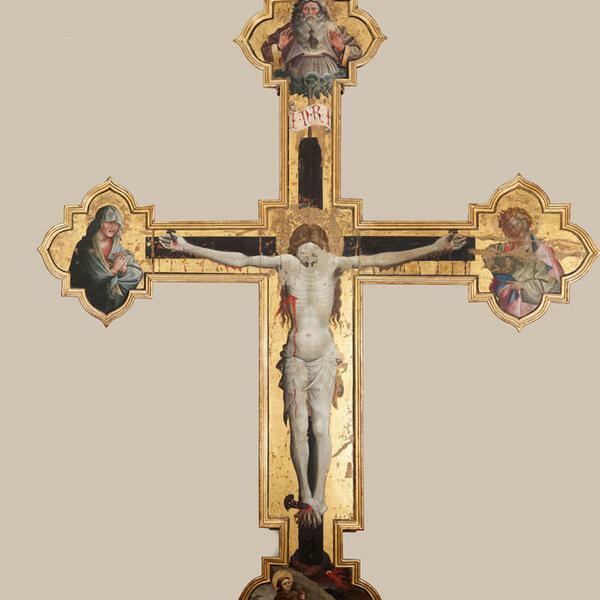 Below, St. Francis, kneeling at the feet of Christ, while receiving the holy stigmata, is easily noticed.